Being your typical beauty blogger (and member of the female species) it will probably come as no surprise that I'm very much partial to a bit of online shopping. Making purchases from the comfort of the sofa without having to brave the queues, and having your shiny new purchases delivered straight to the door is a win-win in my book. However there can be a bit of a darker side to buying online. Fraud, bogus online shops, inferior products or your order not showing up at all are always risks we take when buying online- especially from unknown websites. I've done my research, and compiled a list of ten things you can do in order to minimise your risk of getting ripped off when shopping online. 1. If something seems too good to be true, then it probably is! High end makeup brands being sold for a quarter of the RRP? Uggs that are 50% less than you'd pay elsewhere? Just because something claims to be genuine doesn't mean it's true. While in some cases you can snag a genuine bargain on places like eBay, it's still worth being suspicious (especially if the seller has a lot of them, which suggests it's not someone looking for a quick sale of an unwanted item or gift). There's probably a good reason for the item being so cheap, often as they're illegally replicated or pirated or have 'fallen off the back of a lorry' so to speak. Replicated items aren't made under the strict guidelines that genuine companies have to adhere to: at best they're going to be bad quality and at worst they could be downright dangerous. And to top it off, dodgy products have been known to fund scary things like trafficking, drugs and terrorism. It can be difficult to tell the difference between a genuine and fraudulent website these days, anyone with a bit of computer know-how can whip up a professional looking website and add a paypal button. If you're interested in ordering from an unfamiliar company, do a bit of research first- you might save yourself a lot of hassle in the long run. You should be able to establish a physical address and contact details including a phone number and email address. These days most companies have Twitter and Facebook accounts, checking the comments on there and seeing how often they're updated might give you an idea whether or not it's a legitamate company. You could also run their url through a website like Scam Advisor to find out if they have any black marks against their name. Did you know that paying for larger purchases using a credit card offers greater protection? This is because if you spend more than £100 on your credit card, you have legal rights under Section 75 of the Consumer Credit Act against fraud, guarantees and non-delivery- you can find out more about this here. For smaller purchases Paypal is a brilliant method, Paypal claims that "if your purchase doesn't arrive or match its description then we can help you get all your money back." The brilliant thing about a system like this is it allows you to safely send and receive money online without sharing your financial details or credit card number with anyone else. 4. Double check all details of your purchase before confirming payment. Before you hit that 'confirm' button at the end of your purchase, double check that everything is as it should be and you're not being hit with any shady additional costs. Even legitamate companies will sometimes try and charge the more expensive 'next day delivery' option on your order, so it's worth checking and changing or removing anything you don't want. Don't be afraid to shop using your mobile, to be on the safe side just always use the official retailer app if possible rather than through your phone browser. Before entering any payment details, you can check that a page is secure in two ways. Firstly there should be a padlock sign in your browser window, secondly the web address should begin with ‘https://’- the ‘s’ standing for ‘secure’ (it should look like this). A secure page is less vulnerable to attacks where criminals steal information. Some malware programs are able to steal information entered on web pages, meaning if your computer is infected your information is still vulnerable (even on the most secure web page in the world). Run regular antivirus checks and always make sure your antivirus software is up to date. It's a common misconception that Mac's can't get viruses, and while they're more secure than PC's it can still happen. I use ClamXav to scan my Macbook, it's a free app available in the Mac App Store. Your purchases aren't protected if you transfer money directly into someone's bank account. Again Paypal is my method of choice here, any disputes can be raised by them if anything happens to go wrong. Be wary of anyone that refuses to use Paypal and insists on a direct transfer, and for the love of god avoid Western Union and international payment methods like the plague. They're common methods scammers use to obtain money. After shopping online always logout of your account afterwards- simply closing your browser isn't necesarily enough to protect your privacy. Most sites these days will automatically log you out after you've been inactive for a certain period of time but it's always better to be safe than sorry. This especially applies if you're using a shared computer- always tick the 'this is a shared computer' box when logging in anywhere so that your details aren't automatically saved. Being on top of your credit card and bank statements means you can easily spot anything that doesn't look quite right. 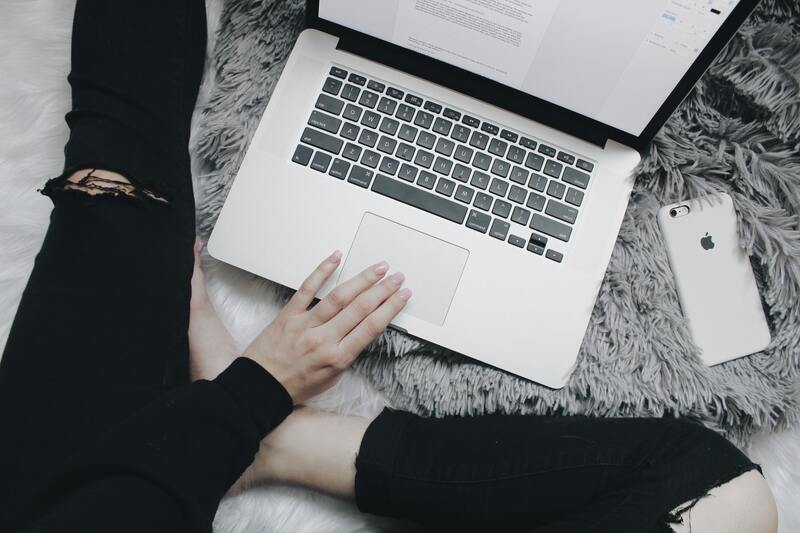 If you're not already signed up to online banking you're missing out- you can quickly go through and check recent transactions any time you like. If you spot something that doesn't look right, chase it up straight away. If you're interested in more ways to keep safe online this resource is brilliant- it includes information from creating strong passwords to banking and shopping online. 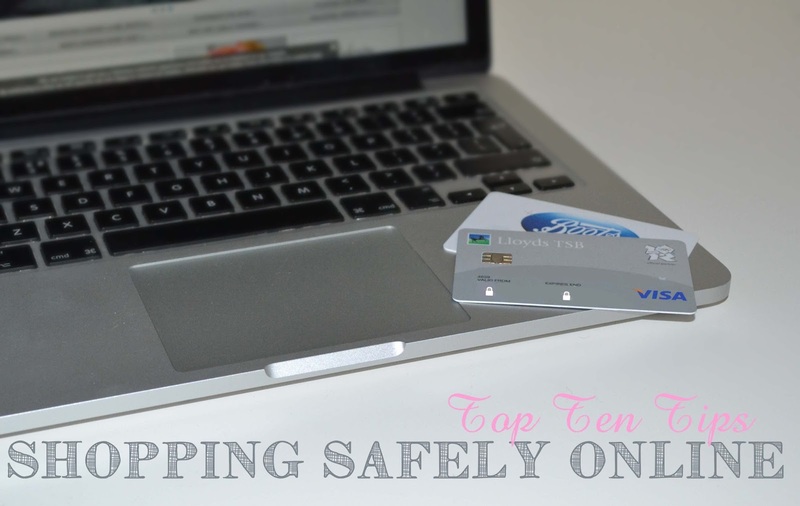 What precautions do you take to keep yourself safe when shopping online? Great tips! I think it's so important people know this.